Calderdale Council, the Canal & River Trust and the contractorKier Group are rebuilding the bridge after it was completely destroyed by the floods in December 2015. Work completed so far includes damming the canal, forming the foundations of the bridge and building a new towpath. The remaining work includes building the bridge parapets, waterproofing the bridge, facing the structure in stone and reinstating the road, kerbs and footpath. 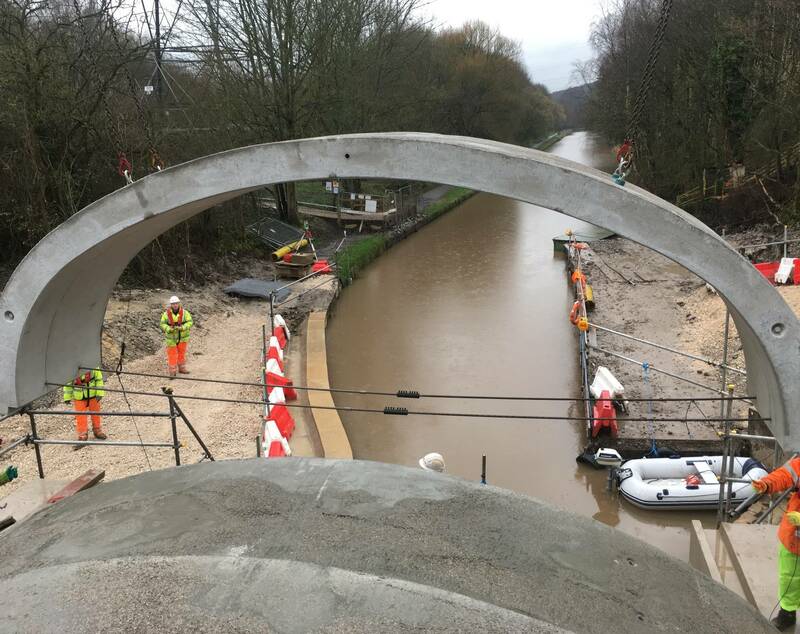 The work at Crowther Bridge has been in tandem with the rebuilding of nearby Elland Bridge, which officially reopened recently, to make the design and construction as cost-efficient as possible. The Crowther Bridge and Elland Bridge rebuilds have been financed through £5.5 million from the Department for Transport flood recovery fund.